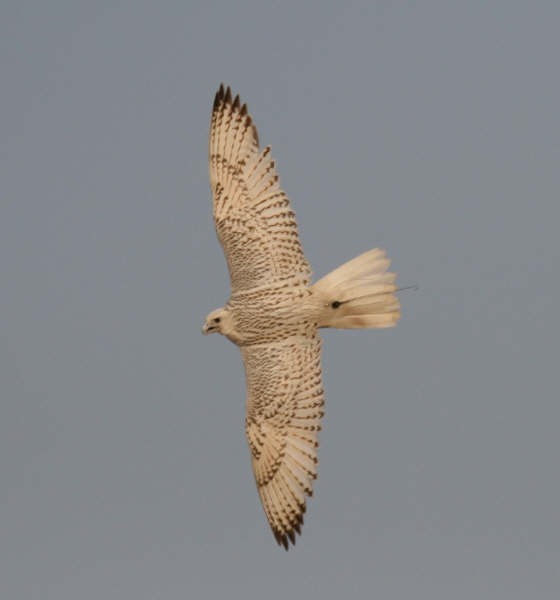 The Nad Al Shiba Avian Reproduction Research Centre was established in the spring of 2001 and is the only commercial falcon breeding centre in the Middle East. Our aim is to provide discerning clients here in the Gulf States with high quality falcons for hunting. By breeding the falcons here in the UAE we are able to offer our clients a unique selection of high quality falcons that have not been stressed by travelling from Europe or the USA. After our falcons are caught up from our hack pens the client usually has them the next day. By breeding here in the UAE, we overcome import issues in the event that CITES regulations were ever to change or if there was a ban on imports due to things such as Avian Influenza. The centre is dedicated to the production of high quality falcons and research into the captive breeding of falcons in a controlled environment. Our breeding stock has been carefully selected from the finest falcons available worldwide, coming from North America, Canada, United Kingdom, Germany, Austria, Iraq and Saudi Arabia. To maintain the falcons in the best possible health, all breeding chambers have full environmental control. We are able to control temperature, humidity and photoperiod for each chamber. The centre has a sophisticated bio-security system to minimise the risk of disease entering the facility and all our stock are vaccinated and undergoing regular health checks in our own veterinary hospital on site. We have a state of the art incubation facility and use a computer programme developed by us to manage the incubation of our eggs, maintaining detailed records of our breeding stock.